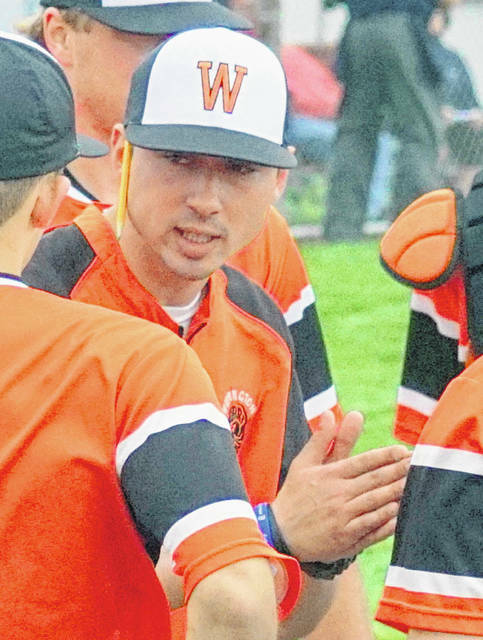 With the expected arrival of his first child, Dusty James has stepped down as the varsity baseball coach at Wilmington High School. He told the Hurricane baseball players Friday afternoon of his decision. “I wanted them to know that this was a very hard decision and that I came to my decision because I didn’t feel that I would be able to give enough focus to baseball with a new baby and wife (Katie James) at home at one of the most important times of the season,” said James, a 2007 WHS graduate. WHS athletic director Troy Diels said he understands the decision and is looking to fill the position. Anyone interested in the position should contact Diels via email at troy.diels@wilmington.k12.oh.us. James has a 26-14 record as the JV baseball coach at Wilmington and a 24-14 record as the varsity coach. He took over for Rick Kneisel. James will remain an assistant coach for the WHS girls varsity baskeball team until the arrival of his son.